It’s the 102nd running of the Indy 500 and WCSI is giving you a chance to win tickets to the Qualification Weekend. 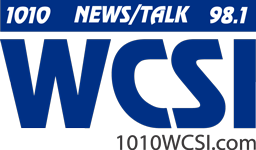 Just listen to 1010 WCSI, or 98.1, May 10, 11, 12, 14 and 15 for for the Indy Car at approximately 6:50 AM Thursday & Friday and Monday & Tuesday on All News in the Morning, and approximately 7:40 AM on Saturday Morning Live. Be the third caller and you’ll score a pair of tickets to the Qualifying to be used either on May 19th, or May 20th. Good Luck from 1010 WCSI and 98.1 FM.